Arena 4 Finance - Debra’s Mountainous Challenge! 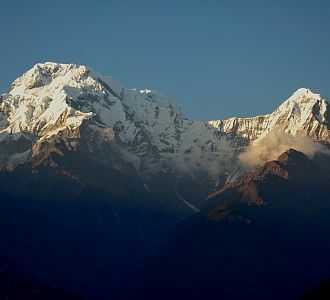 To raise money for the Springboard Charity and its excellent work in the UK helping young and disadvantaged people find sustainable employment in the hospitality, leisure and tourism sector, arena4finance's Debra Adams will be trekking across the Annapurna Mountains in Nepal. The trek, taking place between the 1st and 11th March 2014, aims to raise vital funds for the Springboard Charity’s work within the UK and to also establish a similar legacy in Nepal. Over the 10 days, Debra, alongside other participants, will trek 83km and volunteer in a local village school. To sponsor Debra, please visit www.justgiving.com/Debra-Adams1. All donations are greatly appreciated and will make a difference to people’s lives.